Mark retired from full time planning work in 2012. He has always enjoyed writing but had been reluctant to pursue it until recently. Now, he is pursuing writing in earnest. He has been at it for about two years. His main expression is creative non-fiction and personal essays. He joined Sacramento Suburban Writers in 2018. He is married to Jan, and they have three grown millennial children. He and his wife both have interests in art, hiking, and kayaking. His latest passion is training as an art docent volunteer at Crocker Museum. 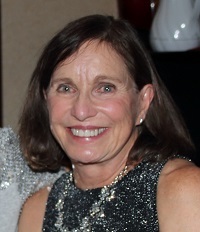 At the 2006 San Francisco Writers Conference, Sally Watkins generated interest in her self-help book and after writing a 70 page proposal, found an agent who sold it to Adams Media who published it in 2009. Adams Media sold foreign rights for Mandarin, French, and Brazilian Portuguese editions before the publisher was bought by Simon and Schuster where you can find Change Your Mindset Not Your Man: Learn to Love What’s Right Instead of Trying to Fix What’s Wrong as an ebook. Sally became, through publishing, an editor, ghostwriter, and coach for other therapists with self-help projects. A Licensed Clinical Social Worker and psychotherapist since 1989, Sally supported her family and non-profit agencies with grant writing for ten years before she discovered creative writing through an online class. Social Work Today featured her article The Highly Prized Child. She also contributes articles to many blogs and speaks at meetings and workshops. Since her agent retired, Sally is currently writing a proposal to find a new agent for her second book, a memoir about childhood wounding. She lives in Lincoln where she is active playing pickleball, bridge, gardening, and vegetarian cooking. www.sallywatkins.net is the book website. www.healingwords.net is the therapy website. Michael Weddington served as a regional sports reporter for USA Track & Field. His writing experience included authoring a ghostwritten history of the Olympiad for Griffin Publishing—Official Olympic Publisher of the Atlanta Games (Olympism, 1996); created the first graphical exercise and health log book (The Log, 1995; sold over 10,000 copies) in the health & fitness industry for Griffin Publishing; co-created and co-authored with Barry Perilli (National Road Race Encyclopedia, 1997) the first encyclopedia of our nation’s most storied running events, as co-published by Griffin Publishing and USA Track & Field. 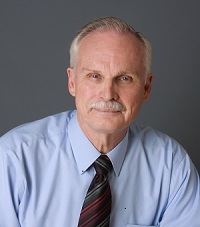 In recent years, Michael has taken an interest in writing academically on higher education and college & career counseling topics (he has co-authored an article in the Journal of Studies in International Education on the academic experiences of Saudi female graduate students at a U.S. university, as well as numerous related articles on his LinkedIn page at: https://www.linkedin.com/in/michaelweddington Currently, Michael is venturing into fiction for the first time, with a particular interest in Fantasy/Science Fiction. 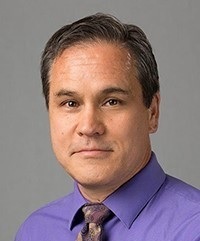 He has also taught several storytelling seminars at the college level on how to adapt the elements of Joseph Campbell’s ‘Hero’s Journey’ for writing, filming, teaching and counseling formats. Dänna Wilberg is a local award-winning short film maker, who produced and hosted two local TV programs in Sacramento, California, PARANORMAL CONNECTION and STORY CONNECTION for fifteen years. Dänna has three published romantic suspense novels, “The Red Chair”, “The Grey Door” “The Black Dress” featuring Psychotherapist Grace Simms, and has been published in four anthologies, one in London. 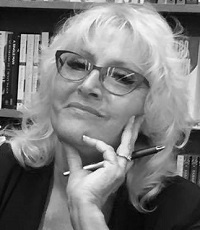 Her current works in progress include a paranormal suspense series based on her short film, “Borrowed Time”, featuring intuitive Suzanne Cash, and a feature film script about “Undue Influence”, based on the true story of Phillip Suttles, a war hero who fell victim to the very people who were appointed by the court to protect him from grifters. Bob Irelan’s 2018 novel, Angel’s Truth, One Teenager’s Quest for Justice, marks the first time he has knowingly written fiction. But his commitment to writing stretches back to the late 1950s, when he majored in Journalism at the University of Maryland. Following 10 years of newspaper and magazine reporting and writing, including stints at The Wall Street Journal and Nation’s Business magazine in Washington, DC, he spent 32 years in corporate public relations for a Fortune 500 family of companies, the last 12 as the corporate officer directing that function. 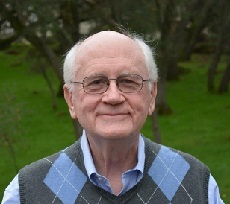 In retirement, he taught a public relations course for two years at University of the Pacific and for five years at University of California, Davis, Extension. Each course focused on writing as the quintessential communications tool. Bob is at work on another novel. He lives with his cat, Jocko, in Rancho Murieta, CA, Email: golfbob@calweb.com.